Phone calls and e-mails to your Italian business partners. Brief me on the issues to be addressed, and I will take care of the rest. Support with the planning of your international event or project, and any follow-up meetings, including tailor-made interpreting or translation services. Looking for a translation of marketing material, a press release or advertising text that really makes an impact? A translation of a product catalogue or website that really boosts your sales? An interpreter for a trade fair, business meeting or event? I am the person for you! I can deliver a translation directly tailored to your needs and target group, persuasive in style and formulation. 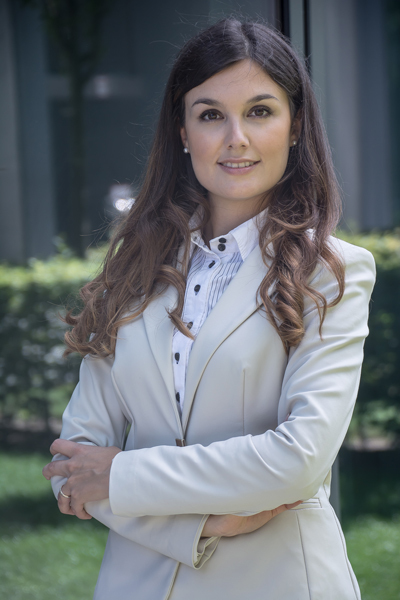 As an interpreter, I will convey your message in an authentic, precise and speedy manner to guarantee successful communication in Italian, English and German. I can overcome linguistic barriers and assist you in achieving success with Italian business partners and companies. not only do I have an excellent grasp of language, but am also fully familiar with cultural and administrative practices in both countries. You can rely on me to deliver a translation on time and in high quality with regards to both style and content. I will be personally responsible for translating your texts and always welcome direct contact. This will allow me to ensure that the translation is precisely tailored to your needs. I keep myself up to date in my job and in my specialist fields. I am a quick worker, and will manage allocated time and money responsibly. Every cent is well invested in quality. You can count on me as a reliable business partner aiming at a long term collaboration. As a freelance translator I am flexible in where I can work, and as a freelance interpreter I can provide my language services wherever they are required. Four eyes see better than two – this is why a native speaker will carry out asecond and careful revision of translations into German. Do you have questions or would you like to have a free and non-binding quote? Don’t hesitate to contact me. I would be more than happy to help you. Aufgrund ihres immer freundlichen und hilfsbereiten Wesens war Frau Saracco bei unseren anspruchsvollen Mandanten sehr anerkannt und geschätzt, dabei waren ihre italienischen Muttersprachekenntnisse von sehr großem Vorteil. “Frau Saracco hat außerdem Unterlagen lokalisiert (u.a. Webinar-Präsentationen). 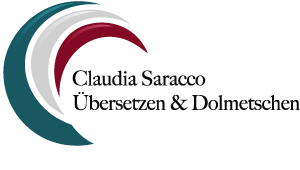 „Frau Claudia Saracco hat in meiner Redaktion das muttersprachliche Korrekturlesen italienischer Texte der Lehrwerksreihe Ecco Band 1 und Band 2, das ich im Auftrag der Cornelsen Schulverlage GmbH redaktionell betreue, übernommen. Diese Aufgabe hat sie mit großer Zuverlässigkeit erfüllt und mit den Ergebnissen waren wir stets sehr zufrieden. Frau Saracco hat gezeigt, dass sie über sehr gute Sprachkenntnisse verfügt und im Umgang mit dem Deutschen und Italienischen sehr sicher ist. Il Centro KOINÈ, di cui sono direttore responsabile, è anche una casa editrice che si occupa di libri inerenti la psicologia clinica e la psicopedagogia. La dott.ssa Claudia Saracco, traduttrice, su incarico del mio Centro, ha lavorato alla traduzione dal tedesco all’italiano del libro di Arne Burchartz “Psychodynamische Psychotherapie bei Kindern und Jugendlichen” (La psicoterapia psicodinamica con i bambini e gli adolescenti). Io personalmente e il gruppo di lavoro che si occupa del settore editoriale del mio Centro siamo rimasti soddisfatti del lavoro svolto dalla dott.ssa Saracco per la qualità della traduzione del libro, per la professionalità e puntualità dimostrata, e per la disponibilità a chiarire ogni punto ambiguo del testo originale tedesco; tale collaborazione è continuata anche dopo il termine del lavoro, fino alla stampa definitiva del libro in italiano. Posso garantire che usufruiremo del lavoro della suddetta traduttrice in futuro, in occasione di ulteriori traduzioni di nostri libri. “Anche quest’anno, ho avuto l’opportunità di collaborare con la traduttrice Claudia Saracco per la traduzione dall’italiano al tedesco dei testi del nuovo catalogo dell’Azienda Agricola Vannucci Piante di Pistoia.